Learn how The ONIX Corporation’s dehydration systems can serve a number of distilleries recycle their byproduct distillers grain. Distillers grain is the co-product of the distillation process. It usually contains a mixture of corn, rice, and various other grains. The main source of distillers grain comes from breweries, but it also comes from ethanol biofuel plants as the popularity of biofuels grows. Often, it is sold as feed for livestock, especially beef cattle, because of its high protein content. There are two different types of distillers grains: wet distillers grains and dried distillers grains with solubles. WDG contains unfermented gain residues and has a very short shelf life due to the moisture content. DDGS is just WDG that has been dried. This has an indefinite shelf life and is easily shipped because of its lack of moisture content and inability to go bad. When the production of distillers grain comes from beer of whiskey, the grains are put through a mashing process and then hot water is added. The starch then turns into sugars that are released into water. After the water is removed from the grain, the remaining grain is then sold as a by-product of the distillation process. 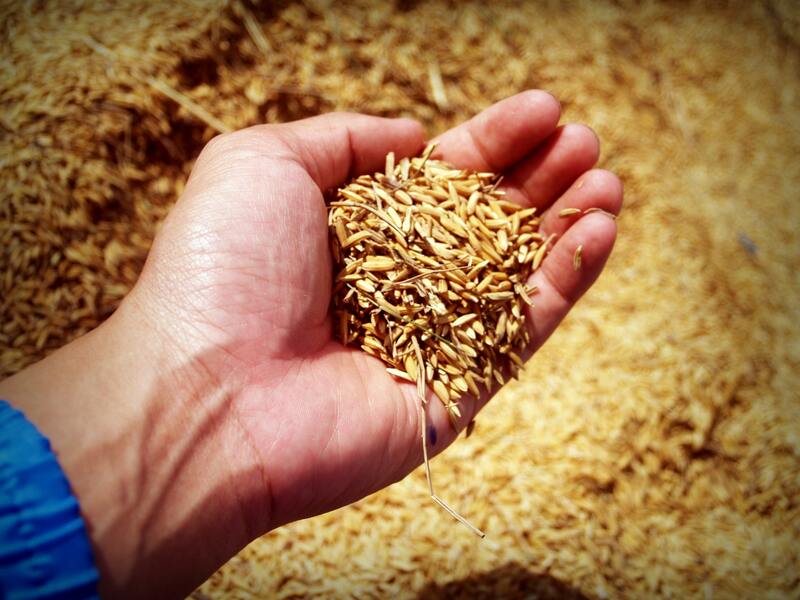 Distillers grain can often benefit from drying, milling, bagging, or pelleting. Distillers grain processing systems can be created by the engineers at The ONIX Corporation. The rotary drum dryers manufactured by The ONIX Corporation have the ability to not only help with the drying process of distillers grain, but we can do so in the most energy efficient way for your company. We have the ability to create distillers grain processing systems so that we can dry, mill, pellet, and bag a variety of excess product that your company may not know what to do with. We combine our dryer technology and that of our material handling to create the best system and solution for your needs. Since distillers grain has a variety of uses, we can create system that does any or all of these processes depending on your needs. If you are looking for a solution to a problem that you think The ONIX Corporation may be able to help you with, please don’t hesitate to look further into our Rotary Drum Dryer and Material Handling Systems Technology. Learn more about our Rotary Drum Drying Systems and how they can help with processing and drying distillers grain.